Do Medical Malpractice Laws Protect Undocumented Workers? A recent survey showed that only 28 percent of Americans can name more than one of the five fundamental freedoms granted to them by the First Amendment to the U.S. Constitution. (Freedom of Speech, Freedom of Religion, Freedom of the Press, Freedom of Assembly, Freedom to Petition for Redress of Grievances). These survey results clearly demonstrate that many Americans do not know or understand the very freedoms they enjoy on a daily basis. Perhaps more surprising is the fact that a majority of Americans do not understand or appreciate exactly who is protected by the United States Constitution. 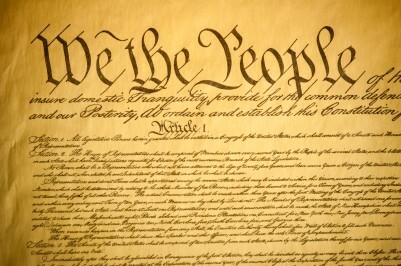 The Constitution of the United States of America gives all persons rights in this country. Most people think that the protections of our constitution only apply to citizens of this country. This is incorrect. For instance, the XIV Amendment to the Constitution states that …”nor shall any State deprive any person of life, liberty. or property, without due process of law; nor deny any person within its jurisdiction the equal protection of the laws.” The founding fathers of this country made it clear that the constitution protects all persons within its jurisdiction. America is a melting pot. From the beginning, America was established by immigrants. Today, a large portion of our economy is supported by foreign tourists, foreign businessmen and travelers. If a foreign businessman gets injured by a negligent American driver, he has the right to receive justice from the civil justice system in this country. Similarly, if a foreign traveler is accused of a crime, he is entitled to the same due process that is afforded to an American citizen. In this section, we will attempt to illuminate some of the areas of law which raise common questions about your rights in this country. In order for our rights to be protected and preserved, we must understand them more fully.